Tencent, China’s largest Internet firm, continued to show impressive growth after revealing figures for its second quarter of 2012, which included total revenue of $1.7 billion, up 9.1 percent QoQ (56 percent YoY), and profit of $491.8 million, up 5 percent QoQ (32.7 percent YoY). While it beat the street’s analysis, both revenue and profit grew slower than the first quarter, during which the figures increased by 21.8 and 16.1 percent QoQ respectively. Likewise, quarterly growth was lower for a number of business units. Internet value added services (up 5.5 percent versus 15.3 percent in Q1) and mobile and telecom value added services (up 1.7 percent versus 7.0 percent in Q1). Online advertising was the exception, having posted a decrease of 9.7 percent during the first quarter. Revenues from Internet value-added services (“IVAS”) were RMB15,168.2 million (USD2,398.2 million), an increase of 42.6% YoY. Revenues from mobile & telecommunications value-added services (“MVAS”) were RMB1,842.8 million (USD291.4 million), an increase of 17.3% YoY. Revenues from online advertising were RMB1,419.8 million (USD224.5 million), an increase of 79.0% YoY. Revenues from e-Commerce transactions were RMB1,610.3 million (USD254.6 million). Having reached close to saturation point among China’s Internet population, Tencent — like Baidu and other Chinese Internet firms — is looking abroad to increase use of its services. The company has an active presence in Silicon Valley and has made a number of international investments, including Korea’s KakaoTalk and games firm Activision Blizzard. Tencent is also actively pushing its products — particularly gaming services and its WeChat mobile messenger — into new markets, with Southeast Asia the immediate priority. Monthly active Instant Messaging (“IM”) user accounts were 783.6 million, an increase of 4.2% QoQ or an increase of 11.6% YoY. Peak simultaneous online IM user accounts were 166.6 million, a decrease of 0.5% QoQ or an increase of 21.9% YoY. Monthly active Qzone user accounts were 597.6 million, an increase of 3.6% QoQ or an increase of 11.5% YoY; monthly active Pengyou user accounts were 247.7 million, an increase of 15.5% QoQ or an increase of 30.6% YoY. Peak simultaneous online QQ Game Platform user accounts were 8.8 million, flat QoQ or an increase of 17.3% YoY. Fee-based IVAS registered subscriptions were 74.7 million, a decrease of 8.7% QoQ or a decrease of 2.4% YoY. Fee-based MVAS registered subscriptions were 34.6 million, an increase of 0.3% QoQ or an increase of 16.1% YoY. 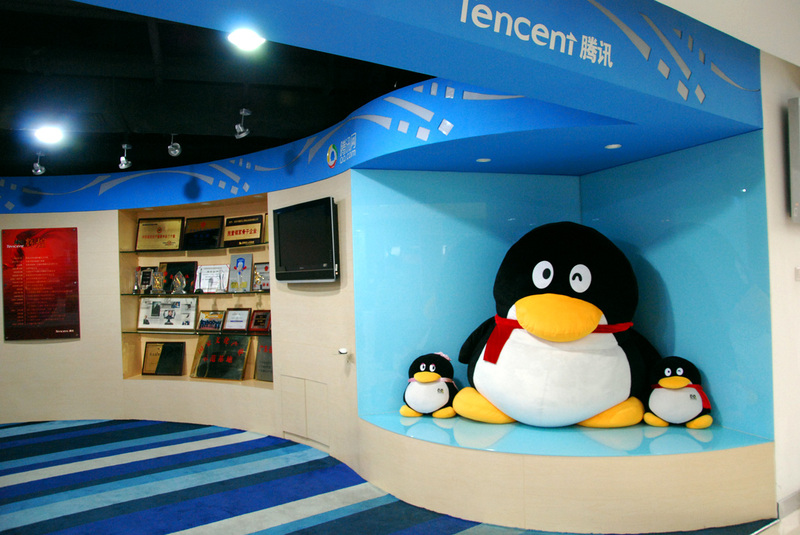 Full details of the earnings can be found on the Tencent investor relations page.